The tram line connects the central business district of Adelaide, capital of South Australia, to the seaside suburb of Glenelg. 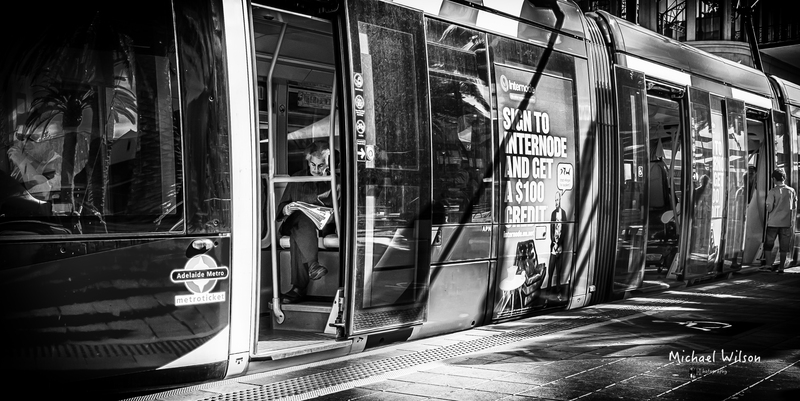 This entry was posted in Photography and tagged Adelaide, Adelaide Street Photography, Glenelg, Lightroom, Monochrome, People, Photography, Silver FX Pro, South Australia, Street Photography, Tram. Bookmark the permalink.